The American Caregiver Association (ACA) has been around since 1985. 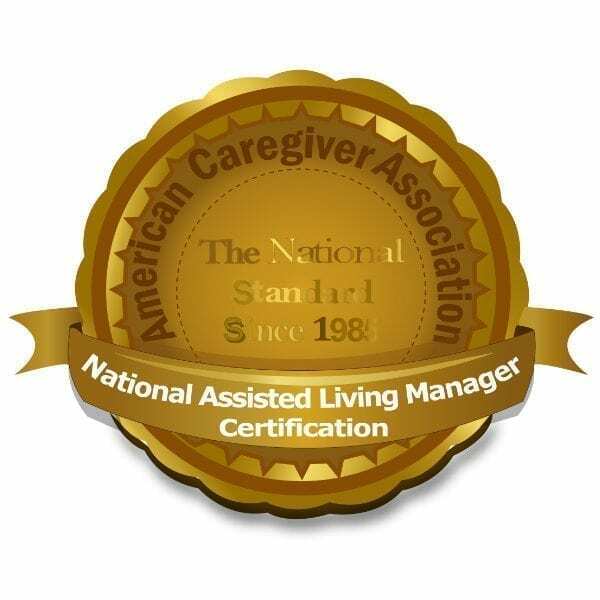 We are the most recognizable name in the caregiver industry and we are the Official National Certifying and Accrediting body for caregiver and assisted living manager (ALM) certification in the United States. 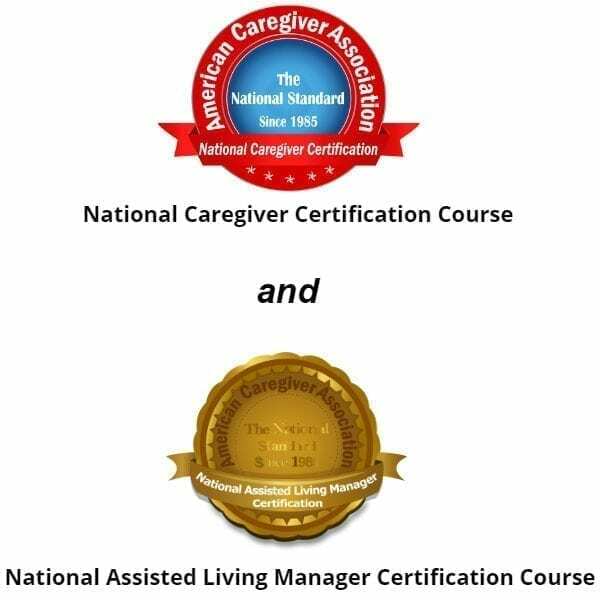 The ACA is proud to be the only organization to offer a self-study National Caregiver Certification Course (NCCC), and a National Assisted Living Manager Caregiver Certification Course (NALMCC). 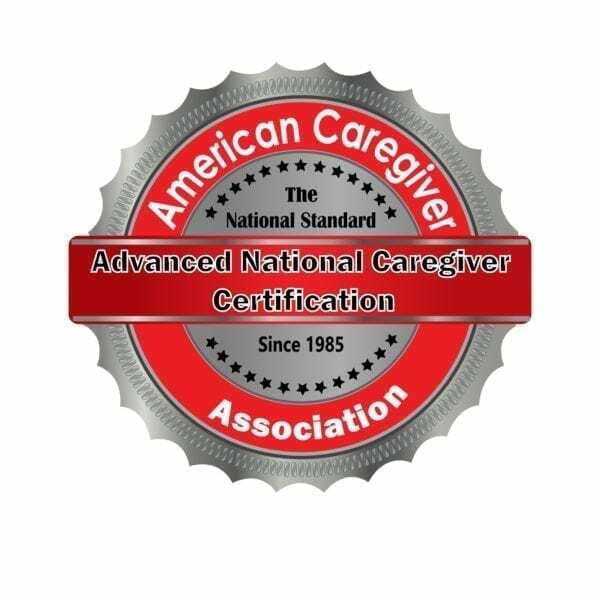 ​Acquiring national caregiver certification places you above others competing for employment in the caregiver field because your certification is through the ACA, the most established and respected caregiver training and certification organization in the U.S. 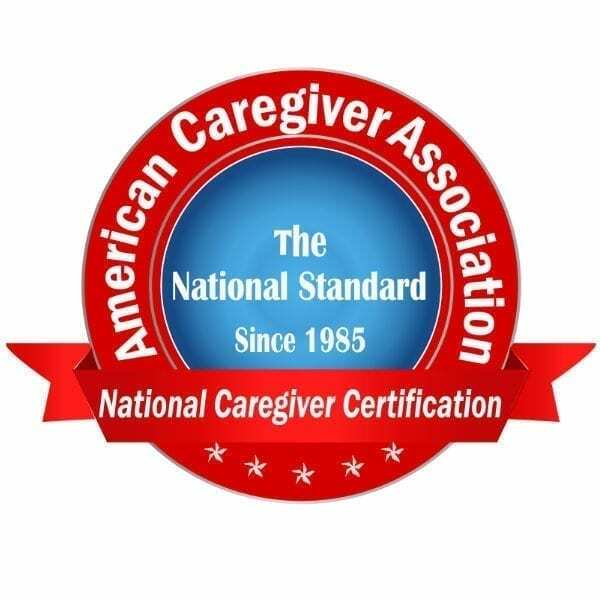 In the caregiver profession it is well known that if you are not nationally certified with the American Caregiver Association then you are not considered a certified caregiver. This is the weight that our caregiver certification carries across the United States. More critically, national caregiver certification is the expectation in the industry. The same is true for assisted living manager certification. Therefore, we strongly urge you to keep this in mind as you look to advance your career in the health care field, as a personal care aide, caregiver or assisted living manager more specifically. Having our certification simply puts you ahead of the game now, and in the long term. On a more practical level our caregiver certification provides you with the opportunity to fine tune your knowledge and acquire new skills and techniques with minimal out of pocket cost at $79.00. This, as opposed to going to a more traditional caregiver training school or course which can cost thousands of dollars, extra expense such as gas, and time that you may not have. If you are interested in becoming a nationally certified caregiver or nationally certified assisted living manager and being entered into our national database click on the add to cart button below to purchase your caregiver certification course. We offer a variety of discounted caregiver certification bundles, including the NCCC and NALMCC package for only $139.00 (regularly $158.00). The bundle package includes both the National Caregiver Certification Course and the National Assisted Living Manager Certification Course (NALMCC). You can add to cart on this page or through our online store. What Is Covered In The National Caregiver Certification Course? The National Caregiver Certification Course (NCCC) is intended to provide you with the most common responsibilities and duties that you will be dealing with as a caregiver. The fundamental idea behind the training course is not so much to cover ‘every’ aspect of caregiving. Rather, it is our intent to provide you with the most relevant and useful information that you should know before you begin a career as a caregiver. This is a terrific starter course for anyone wanting to break into the caregiver field. What is Covered in The National Assisted Living Manager Certification Course (NALMCC)? The NALMCC course is designed for those wanting to move into a position of increased responsibility. The course provides you with the knowledge and information that you need to handle the day to day operations of an assisted living facility. Likewise, the NALMCC course predisposes you to many of the problems and issues that assisted living manager’s (ALM) face. In addition, the NALMCC certification opens the door to increased opportunity in the caregiver industry. The bottom line for you is this. National assisted living manager certification is the expectation, not the exception. How does the National Caregiver Certification Course (NCCC) Work? How does The National Assisted Living Manager Certification Course (NALMCC) Work? Simply add the course you need to your shopping cart and go through the payment process. Upon receipt of your payment you will receive a confirmation email from us. Within 24 hours you will receive your course manual via email (in PDF format), along with your student identification number and other basic instructions. After you receive your course you can take as long as you need to prepare for the exam. All exams are open book. There are no time constraints for finishing a course or the exam. This puts you in control of your learning. When you feel that you are ready to take the caregiver or assisted living manager exam simply email us through our Contact Us page on our website indicating that you are ready for the test. What caregivers say about our courses? "I found the course interesting and informative." "It was a good refresher course for myself . It refreshed my memory of useful information."